Complete your federal taxes online and let the software do the hard work! Use free tax preparation software (for those with incomes below $66,000) or free fillable tax forms. File your Indiana state tax return online for free and get fast refunds! Income must be below $66,000 to qualify for free online tax preparation. 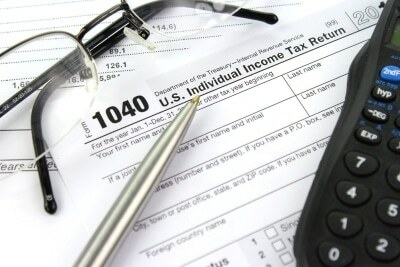 A limited selection of tax forms are available at Michigan City Public Library from January through April. Library staff are not tax-trained and cannot assist in selecting tax forms or answer tax preparation questions. The library hosts the VITA program, which provides free assistance with filing simple tax forms. IRS-certified volunteers will provide free basic income tax return preparation with electronic filing to qualified individuals. Restrictions apply. This service is provided by appointment only. General library staff cannot provide tax advice. For more information, please call 219-873-3049. Offers free, individualized tax preparation for low-to moderate-income taxpayers, especially those 60 and older. Go to the IRS refund website or call 1-800-829-4477 to check on your federal refund. Go to the state refund website or call 317-233-4018 to check on your state refund. Check public real estate records and view assessment, tax, sales, ownership, and other property information. Contact the Assessor’s Office, find forms for review of assessment or corrections of errors, and file appeals to property assessments.